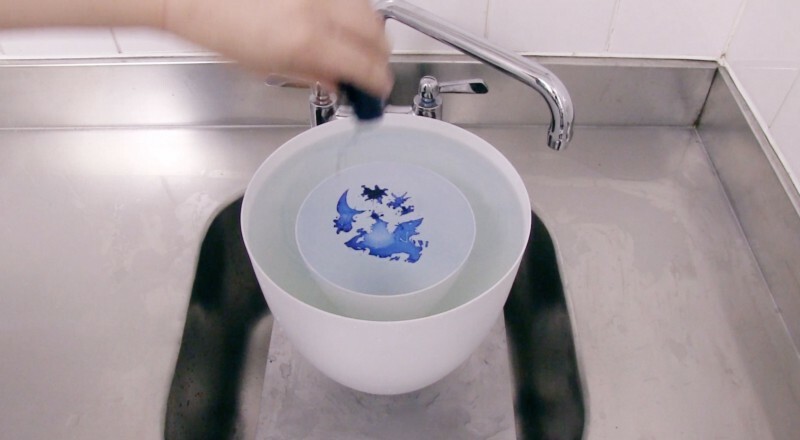 Landscape of Gravity is a pattern printing technique that visualizes the movement of water. 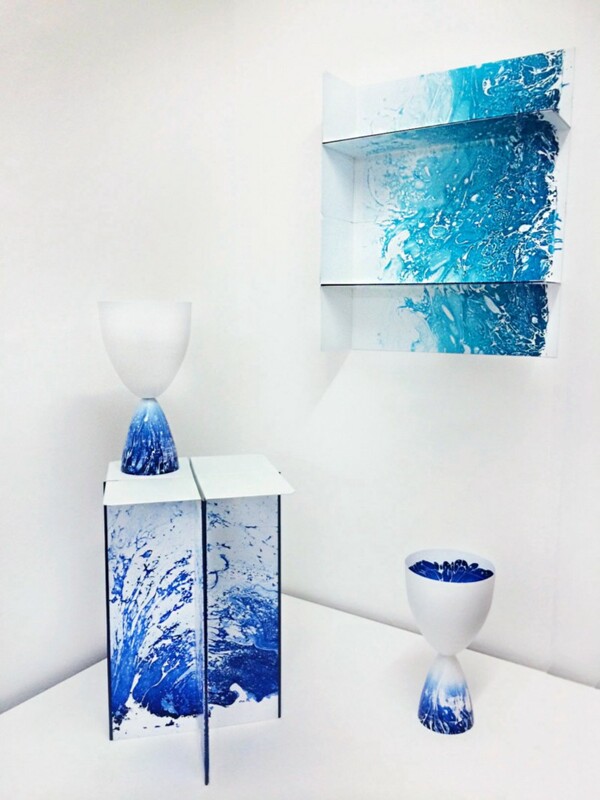 By effecting the movement of water with gravity this technique creates unique 3 dimensional organic prints to a surface of manmade objects. This way emphasizing unseen natural phenomenons in our surroundings and meeting points between man made shapes and natural elements. Landscape of Gravity was inspired by distorted reflections on a surface of water. 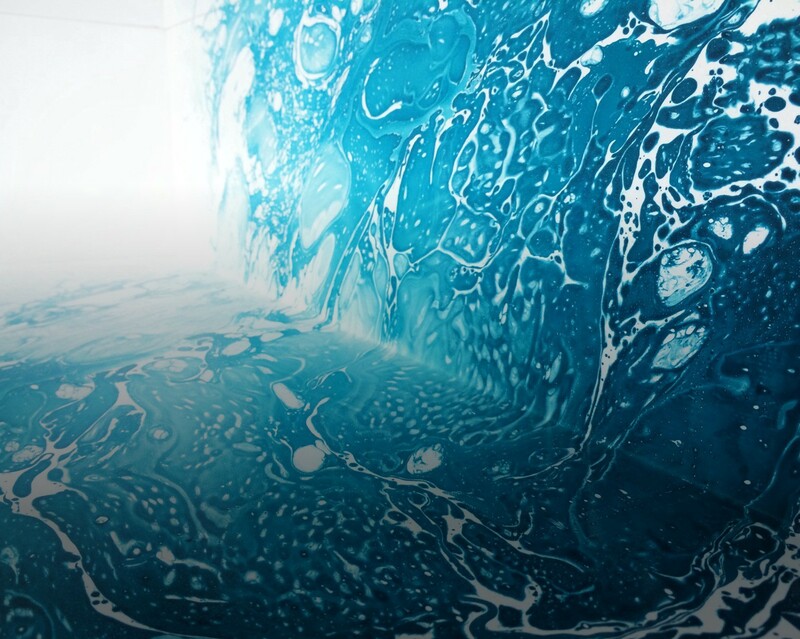 The phenomenon that enable to capture this almost invisible movement is oil paint floating on top of water. 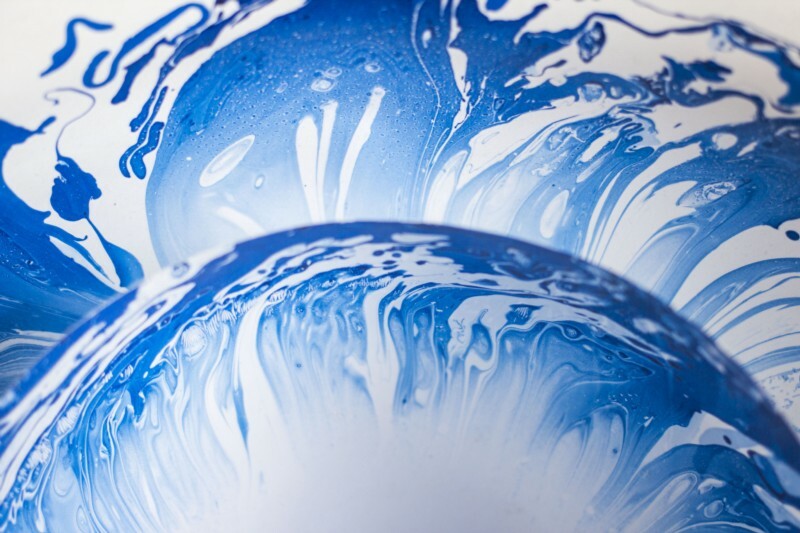 The technique developed to this projects combines this phenomenon and movement of water effected by gravity. All the objects made for the collection are vessels with a hole in the bottom. 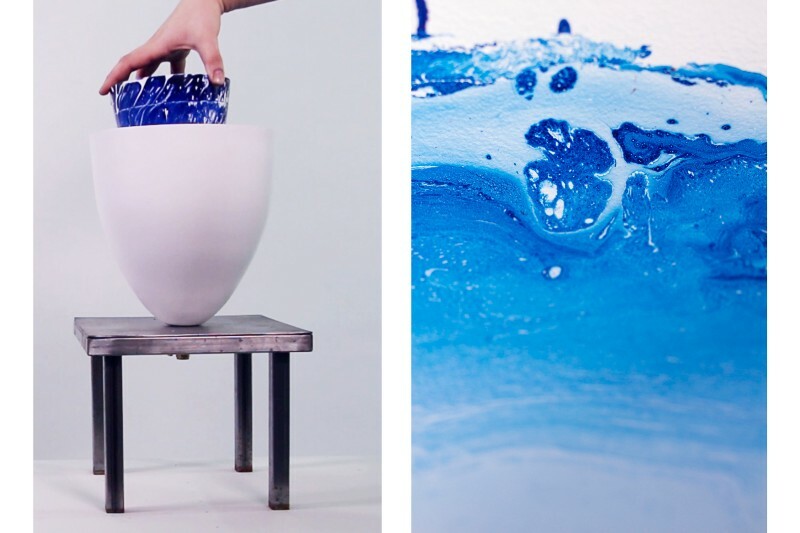 The vessels are filled with water and topped with oil paint and drained. This phenomenon of gravity pulling the water down transmits the movement of the water to the surface of the vessel while the water level goes down. After this the vessel is transformed in to a object as the inside of the vessel turn inside out revealing the natural pattern. 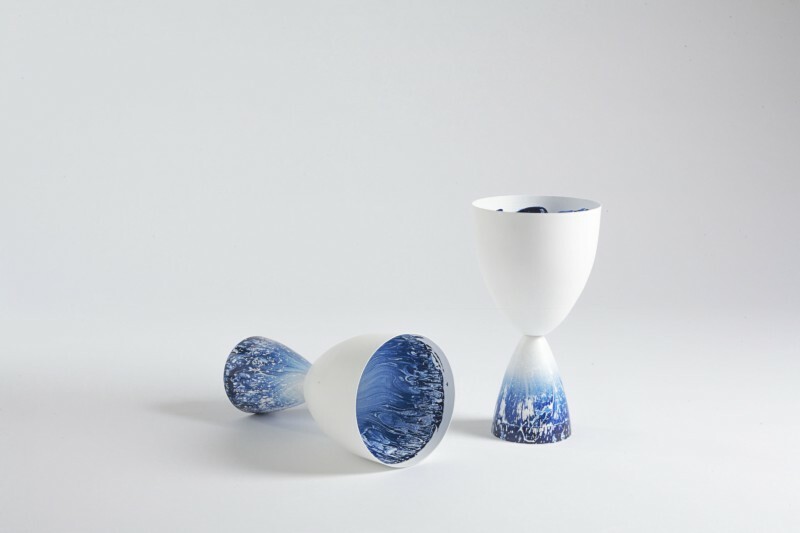 Kirsi Enkovaara was born in 1983, Helsinki, Finland and design practise is currently based in London. Enkovaara explores human condition thru peoples interaction with objects. At this moment she is fascinated to go beyond obvious imitations of nature and capture natures own voice and behavior into a product. 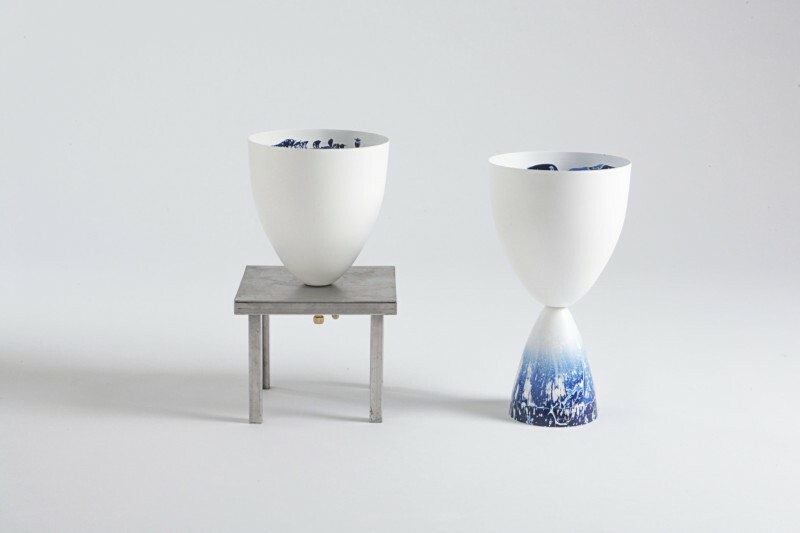 Kirsi Enkovaara is a resent graduate from the Design Products programme at the Royal Collage of Art where she studied under Max Lamb and Harry Richardson.